Reinvesting capital gains or taking actual distributions has the same tax effect. 1. Do I Have to Report a Capital Gains Distribution if the Money Was Reinvested? 2. When Do You Pay Taxes on Stocks? Capital gains generally receive a lower tax rate, depending on your tax bracket, than does ordinary income. Reinvesting those capital gains may seem to be a way to defer any taxes allowing you to reap additional tax benefits. However, the IRS recognizes those capital gains when they occur, whether or not you reinvest them. Therefore, there are no direct tax benefits associated with reinvesting your capital gains. Short-term capital gains, for those assets held less than one year or 12 months, are taxed at ordinary income rates. Beginning in 2013, long-term capital gains are taxed at varying rates depending on your marginal tax rate. From 2008 through 2012, long-term capital gains were taxed at zero percent to 35 percent, but those held for 18 months or longer were taxed at 15 percent. You must pay taxes on your capital gains in the year that those gains are distributed. 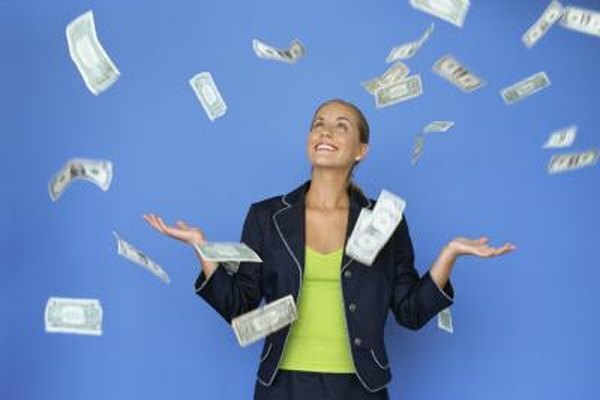 Unlike ordinary income, you do not realize capital gains until you actually sell the asset. If your stock or other asset has increased in value and you still own it, this is an unrealized gain, not a capital gain. If your mutual fund sold assets and realized a gain, then you realized a gain. If you sold the asset, you took distribution and must report any gain on Schedule D of your personal tax return, form 1040. Your mutual fund company, stock brokerage firm or other financial institution is required to report only the sales proceeds for any asset purchased before January 1, 2011. If you sell shares purchased before this date or if you sell shares in, for example, a private corporation, you will need to calculate your capital gains. However, for any asset purchased on or after January 1, 2011, your financial institution must also report your gain or loss. The reporting of this gain occurs regardless of whether you took distribution or reinvested the gains. When you reinvest your capital gains, add these reinvested amounts to your mutual fund's cost basis. If you neglect to do this, you may pay additional unnecessary taxes when you sell. Tracking reinvested capital gains on mutual funds can be tedious. Fortunately, tracking reinvested amounts is easier when selling a stock position and reinvesting those proceeds into another stock. Although there are no additional tax benefits for reinvesting capital gains in taxable accounts, other benefits exist. If you hold your mutual funds or stock in a retirement account, you are not taxed on any capital gains so you can reinvest those gains tax-free in the same account. In a taxable account, by reinvesting and buying more assets that are likely to appreciate, you can accrue wealth faster.